E is for Explore! : Word Choice! Help students expand their vocabulary and make their writing more descriptive by switching up their words! 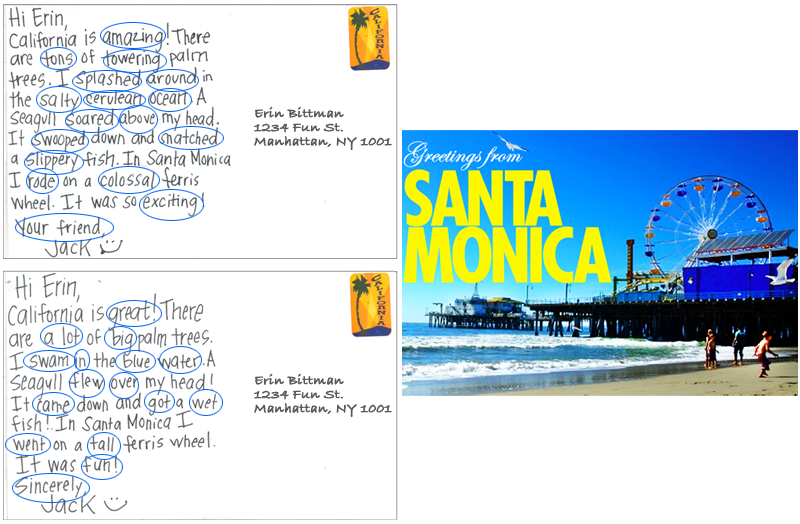 Next, pull out 2 identical postcards (pictured above). Read and project them onto the white board. Students compare and contrast the letters. Call students up to circle the words that are similar with different shades of meaning (synonyms). Ask students which letter was more successful, why? Then, play a whole group game: Hello My Name Is. Give each student a name tag with a word on it. They must go around the room and identify their match: a synonym for their word. Afterwards, have the students try to find an antonym for their word. 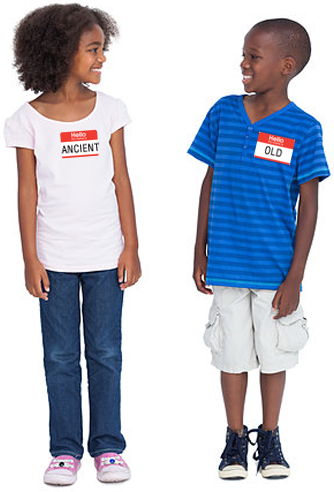 Project: Younger students can create a Synonym City to display in the classroom! Click here for details. Older students can rewrite a song independently or in a group. Check out this activity here!